IntrudaGuard®’s distinctive 60° staggered pitch, round hole, perforated design works to reduce glare and heat, without forfeiting your natural light. The durable and corrosion-resistant perforated shield is powder coated matt black to help hide any imperfections that come from daily use. It will also resist chipping and peeling to deliver long life performance and colour integrity with low maintenance. 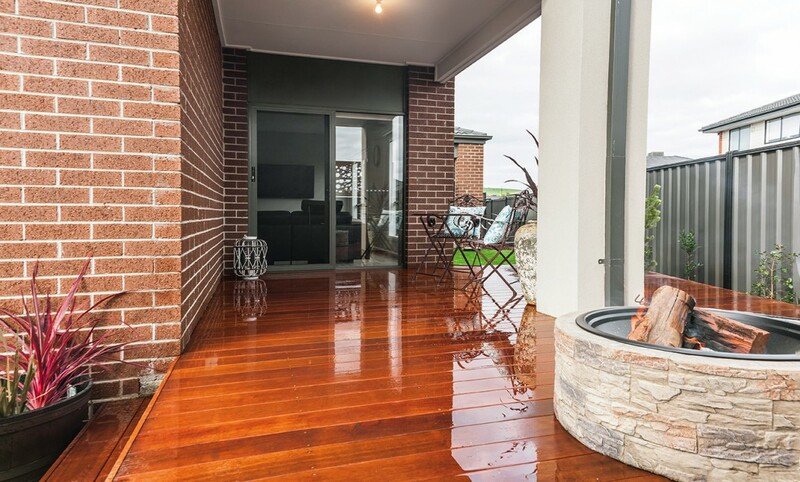 It can protect any home against Australian conditions. IntrudaGuard® security screen feature an innovative design, which reduces costs without reducing quality. This makes them truly secure and truly affordable. 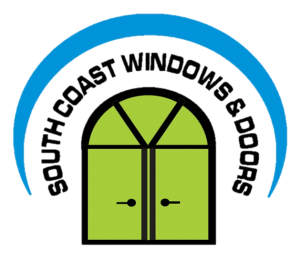 IntrudaGuard® protects your home from a wide range of intrusion attempts. Including attacks from intruders wielding knives and blunt objects. Designed and tested to withstand a wide range of impact-based attacks, IntrudaGuard® protects against jemmying attempts, pulling attacks and more. IntrudaGuard® security screens feature an innovative design, which reduces costs without reducing quality. This makes them truly secure and truly affordable. 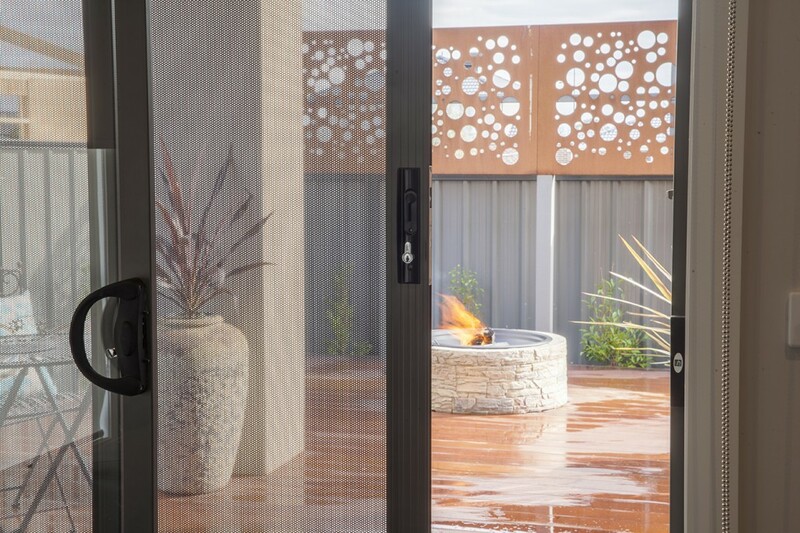 IntrudaGuard®’s perforated aluminum screen boasts a class-topping 125° viewing angle. So you can protect your home without obscuring your view. IntrudaGuard® security screens keep intruders out while allowing cool, fresh air in, thereby promoting better circulation and airflow within your home. 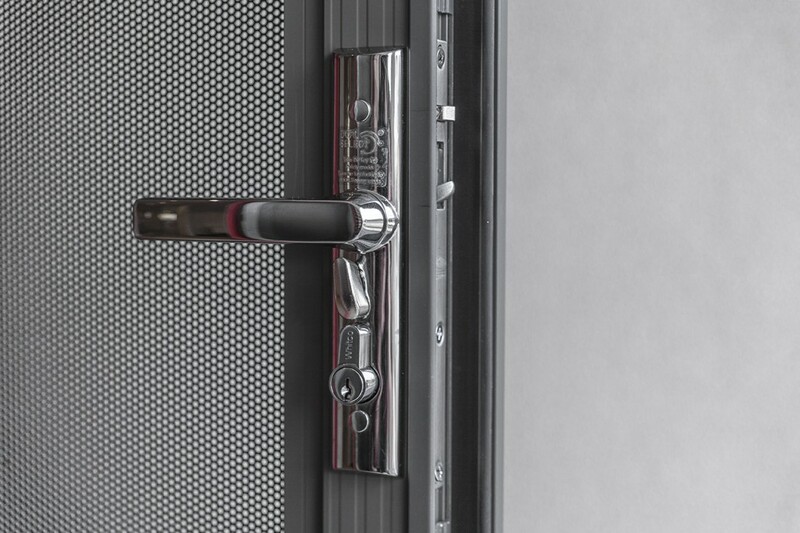 All IntrudaGuard® security screens can be equipped with ‘triple lock’ locking systems, which with one flick activate three locking points for superior protection. No dissimilar metals come into contact with each other during IntrudaGuard®’s fabrication process. And an All Aluminium Framing system prevents any galvanic corrosion from occurring and increases the life of your screen. WERS tested and rated, IntrudaGuard® enhances your home’s energy efficiency. Help keep the summer heat and UV light out during heat waves and reduce heating loss come winter time. IntrudaGuard® security screens prevents insects, spiders and airborne pests from gaining access to your home. This makes them ideal for people with bee or wasp allergies. 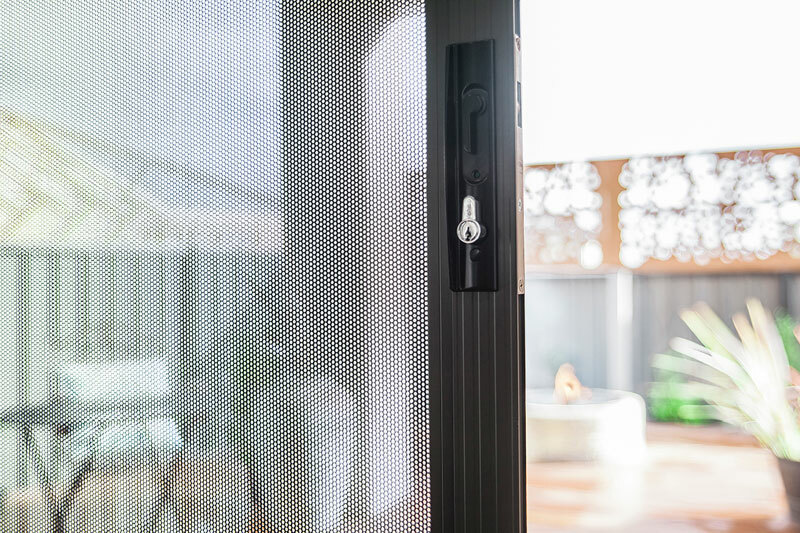 IntrudaGuard® security screens are rigorously tested to meet both Australian and industry standards. This ensures strength and performance in even the toughest conditions. 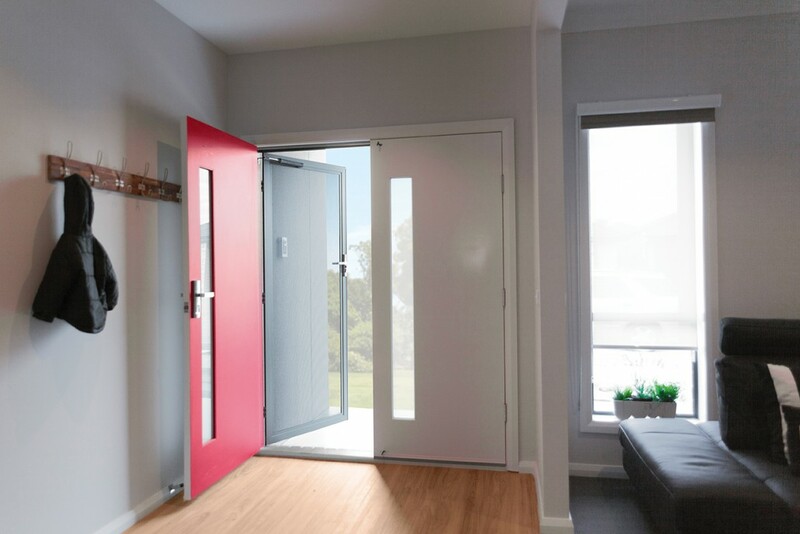 The ability for a security door or window screen to absorb and dissipate impact shocks is a key characteristic of how the system performs and dictates the stresses transferred to hinge fixtures, locks and outer frames. IntrudaGuard® is tested to Australian Standard AS5039-2008 and AS5041-2003. These standards test for effectiveness against a range of intruder attacks, including impact, jemmying and knife shearing attacks. The dynamic impact test was created to imitate an intruder attempting to kick, shoulder or otherwise force their way through the security screen. In order to replicate and exceed the impact an intruder is capable of exerting, a 40kg bag of sand and lead is hurled into the security screen with a force of 100 joules. The test is carried out concurrently five times. To pass this test, the security screen mesh must not be removed from the frame or breached in any way. The jemmy test was created to imitate an intruder using a levering object, such as a screwdriver to force their way through the security screen. A mechanical winch is used in an attempt to pry the door open. In order to pass the jemmy Test, the security door must remain securely closed. All locking, hinging and fastening points must not be breached, or a gap for intrusion made. The pull test was created to imitate an intruder attempting to pull out the security screen. In order to replicate and exceed the pulling power of an intruder, up to 2 kN (200kg) is applied to the top, bottom and sides of the security screen for 20 seconds. To pass this test, the security screen must deflect the pulling attempts and not allow a gap for intrusion to be made. The probe test was created to imitate an intruder creating a gap in the security screen and then attempting to get his hand to the lock on the door or window. In order to replicate and exceed the probing power of an intruder, a deflecting force of 1.5 kN (150kg) is put to each side of the breach in an attempt to increase the space and allow entry. The shear test was created to imitate an intruder using cutting pliers upon the security screen in an attempt to break through its surface. In order to replicate and exceed the power of an intruder using cutting pliers, a shearing tool is put to a sample strand. Pressure is applied until the sample strand breaks. Due to the fly screen like apertures the IntrudaGuard® shield has, the shear test cannot be performed. The knife shear test was created to imitate an intruder using a knife or other sharp object in an attempt to cut through the security screen. In order to replicate and exceed the power of an intruder a heavy duty knife is drawn along a 250mm line with a force of up to 350 N (35kg) horizontally and 150 N (15kg) vertically. To pass this test the knife strokes must not cut through the screen. This test is carried out three times. each time with a new knife and along the same cut line. IntrudaGuard® is tested to Australian Standard AS5039-2008 and AS5041-2003.